Introducing our most recent and advanced radio template with Radio stream player. This template is full of new innovative picture and layout that will guarantee you a better success. Starting with a beautiful option tab that will tell your customer how your website is organized. Our slideshow comes with crazy and colorful pictures that show how recent your music and programs are, and how they can cope with the current generations that are leaning towards tech and house music. The slideshow has a main idea to deliver the highlight of your website and we made sure that it will deliver its purpose. Then, our card layout each accompanied by beautiful pictures that are basically an advertisement for different programs and show that our radio host. This will allow your customer to be updated with different programs and shows that your radio offer. 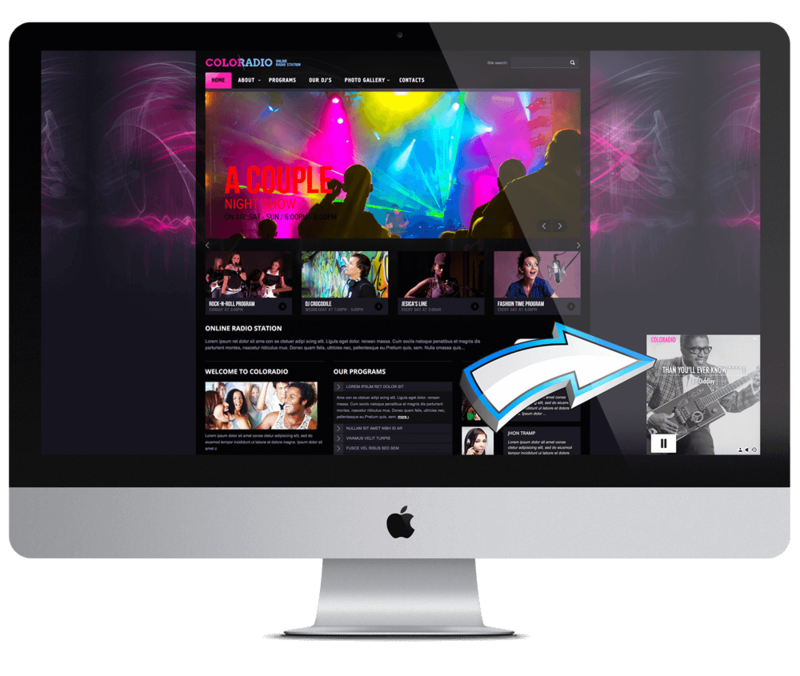 In the end, we offer a listen to live tab that are crucial for your customer who just wants to go live without needing to go to specific another page; our template is capable then to listen live from the home page. In the end, we will provide you with the vertical layout display which will let you update your customer with the most recent news and updates. Last but not least, our templates packages include 1 month of free host account at www.m9host.com site. Adding that cost to the free pictures that are included in our templates, we are proud to be your cheapest pathway throughout an excellent successful business.